GE stands for General Electric. For decades, GE has been a household name throughout the US and many other parts of the world that stands for high quality, affordable appliances. Perhaps you’ve always been loyal to the GE brand or maybe the home you purchased simply came with GE appliances. However you came to own GE appliances, we hope you are finding that they are meeting your needs well. If any one of your GE appliances stops working perfectly, you shouldn’t just put up with it – call American Appliance Repair at 800-640-9934 for same day GE appliance repair services in Rancho Cucamonga and various other cities and towns in Southern California. That’s the GE motto. GE has a full line of excellent home appliances designed to streamline your routine and help you breeze through your day. GE appliances we repair include refrigerators, freezers, washers, dryers, ranges, cooktops, dishwashers, wall ovens, and more. Perhaps your GE freezer isn’t keeping your food frozen, or maybe your refrigerator even feels on the warm side. Perhaps your GE washer isn’t draining properly, leaving you with sopping wet clothes that take forever to dry. Or perhaps the temperature isn’t quite right on your dryer, so your clothes aren’t nice and warm when you pull them out. Or maybe you’ve started spending way too much time and water pre-washing your dishes because your GE dishwasher doesn’t clean them thoroughly. Whatever the problem may be, you can trust our technicians to diagnose the root cause and fix it perfectly so you’ll be able to get back to relying on your GE appliances again in no time. Our experienced technicians will repair your GE appliance in Rancho Cucamonga in record time. To schedule your service call anywhere in Rancho Cucamonga right now, simply call 800-640-9934 and we’ll be happy to pencil your appointment in whenever it’s most convenient for your busy schedule. 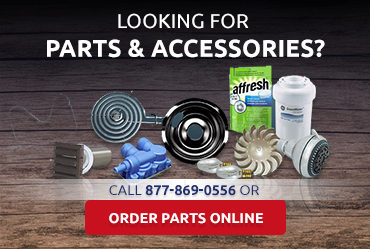 The great thing about relying on American Appliance Repair for all your GE appliance repair needs is that not only do we have knowledgeable technicians, our technicians also drive well-stocked company trucks that have many replacement parts that are often needed. 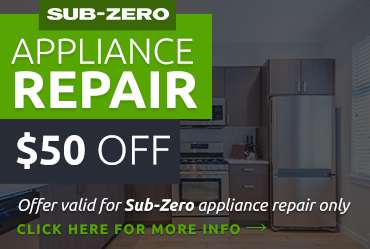 We only use factory-recommended, high quality replacement parts so you’ll know that your appliance will keep humming along for as long as possible. Picking a home appliance repair company can be hard because there are so many options. 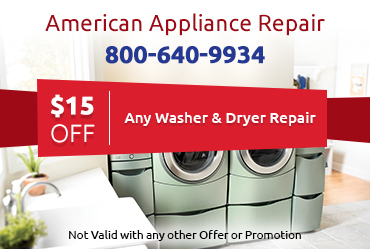 Don’t just take our word for it – American Appliance Repair is a great company to call in Rancho Cucamonga for all your GE home appliance repair needs. Just check out these Reviews and Testimonials. 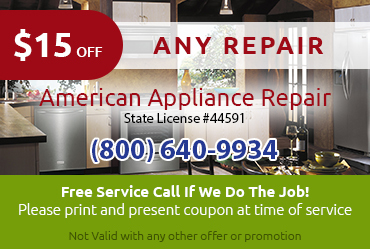 Ready to schedule your appointment with American Appliance Repair? Just give us a call at 800-640-9934 and we’ll send a technician to your home in a jiffy.